While pregnancy and having a baby is nothing if not time consuming (and expensive), setting aside a little time for the two of us was one of the best investments we made. And choosing to experience a Babymoon at the Four Season Jackson Hole, surrounded by the trappings of a top notch ski resort, stunning mountain views and the wonder of a grand national park a stones throw away….well it was pretty special. Here are nine reasons why it might be a good idea for you too! Traveling with your spouse, and only your spouse, isn’t always how it plays out! You have a friend in every major city from Seattle to New York (and visiting without telling them just doesn’t feel right). Family holidays, weddings, and unfortunately funerals, take up a lot of available travel time and funds. It’s difficult to find the time and place to escape with just your spouse, but it is so important to vacate together! The Babymoon is a great motivator to get something on the calendar that is just for two. And penciling in a few nights at the Four Seasons Jackson Hole gave us a lot to look forward to! 2. It's a Good Way to Clear Your Mind. Sometimes a change of scenery (you can’t beat that views of the mighty Tetons) can give the brain a much-needed reboot. There are a lot of decisions to be made when you are expecting. Are you stuck on names? Maybe heading to a historical museum or local park can light your way – Bridger may be a popular name in Montana, but it would be unique in Arizona! Of course, that will never be an option. But it’s easy to get bogged down in baby registries, preparing the nursery, day care plans and the prospect of impending sleep deprivation. Babymoons are vacations, and while you’re not exactly leaving pregnancy at home, you can enjoy doing things that don’t fall under the “nesting” category. Play cards, go shopping, enjoy a cocktail or mocktail together – do things that are fun for mom and dad-to-be before having to worry about when the baby needs to eat, sleep or bathe. We wanted to enjoy our DINK status while we still could. Again: registries, nursery, stroller, day care, expenses, sleep deprivation. There are a ton of things that merit your attention and even add a little stress. But they will all still be there when you return. Taking time to relax (and committing to relaxing!) is healthy and revitalizing. Let your brain, your feet, and all the baby-related worries take the weekend off. Having a baby is such an exciting time, it’s important to enjoy it. The first few months after the baby is around are rarely described as relaxing. So, take the time to listen to the birds, sleep in, take a long bath, and read a book while you can. We were lucky enough to spend a great afternoon in the Four Seasons Spa where treatments are inspired by the mountain environment. My wife enjoyed a relaxing maternity massage designed to provide “gentle relief” for the unique aches and pains of pregnancy as well as to improve circulation. Guests (myself included) can also opt for healing native stone treatments, aromatherapy or sports massages. It all sounds good and feels even better. When newly pregnant, it’s normal to focus on baby, baby, baby. It makes sense – you need to learn how to keep a human alive, which means acquiring a fair amount of knowledge, gear and gadgets; it’s stressful emotionally and financially. It is easy to stop prioritizing your partner and your relationship. Babymoons are a great way to enjoy alone time with the person you love away from the daily stressors of the expecting. It’s not often you get to take a trip just the two of you – it’s a great time to kick the romance up another level. Knowing that evenings would soon be a little more hectic, it was nice to linger over dinner and soak up the mountain lodge atmosphere. You might be past the “able to fly” portion of your pregnancy (we were). If you want to travel across the globe early on, go for it, but if you wait until you’re a little closer to “baby-watch,” it’s a good opportunity to explore places closer to home. Is there a resort town that you’ve been meaning to go to? A national park you’ve always wanted to see? While mom-to-be may not be up for camping or too many hikes, something involving a little more nature might be a fun adventure while the late-night scene is less of an option. My wife and I live in Montana and took the opportunity to drive through Yellowstone and Grand Teton National Park on our way to the Jackson Hole Four Seasons. Neither of us had ever been to Jackson nor had we been through either park since moving back to Montana. It was a great opportunity to explore the incredible treasures that are right out our back door with a great destination resort in our sights. On the one hand, if travel is important to you, you’ll travel with your baby. He or she shouldn’t stop you. But travelling with a baby is different than travelling solo: the top Google search on “flying with your baby checklists” includes 60 items! So no more walking through security with your carry on and a backpack. Traveling with a baby is intense and once you get to your destination, you’re in a new place with a baby. For many people, it’s going to be at least 18 months before you all get on a plane together – enjoy traveling with your partner while you can still carry on or travel light. My wife and I enjoy good food and delicious cocktails. Two of our prerequisites for travel destinations have always been a progressive food and cocktail culture. While the time will come when we can prioritize those things again, having kids shifts the focus to daytime activities. The expecting mother probably isn’t up for any late nights or bar hopping anyway, so most of the Babymoon will be spent hanging out together and doing fun day activities – which is great! In our case, it was fun just to relax in our luxurious room and in the beautiful public spaces and soak up the alpine vibe of our five-star resort. Also, there are great trails (not too strenuous) in nearby Grand Teton National Park if you are up for outdoor fun. You can snag a pair of binocs from the concierge on your way out the door, too. 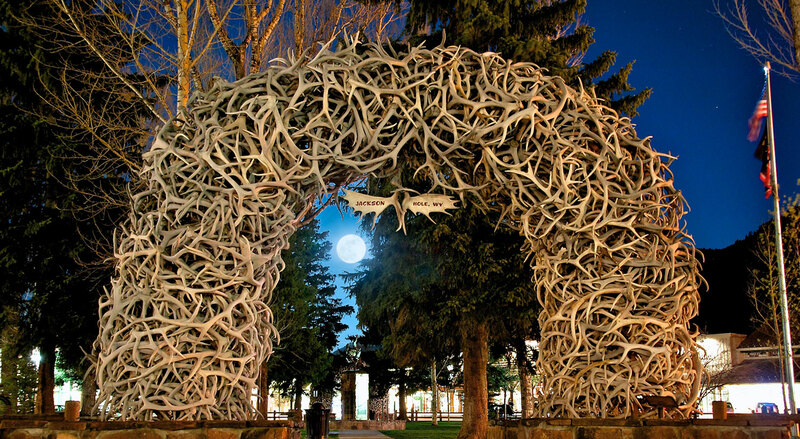 The town of Jackson Hole also has a slew of great shops and galleries for those who enjoy wandering through a great mountain town any time of year. The glitz and glam of urban nightlife may be alluring at some stages of life, but regardless of where you go there is lots of fun to be had during office hours – getting a head start on planning vacations with days that end at 6 (and finding out how fun they are! ), will get you excited to plan your first trip with your baby. While the mother-to-be may not be able to indulge on everything on the cocktail menu, many bars or restaurants do have great mocktail options. 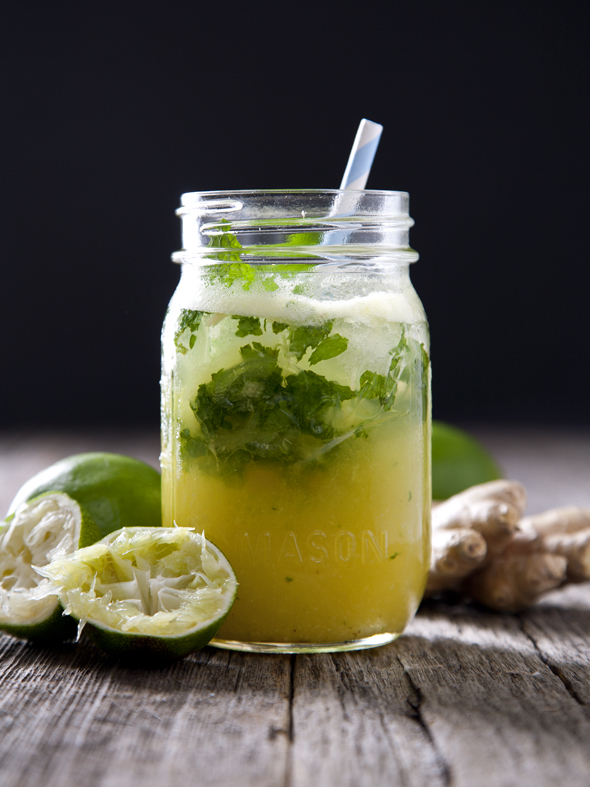 During our Babymoon at the Four Seasons, the bartender, Blake, made Kalli a ginger-mint mojito mocktail that hit the mark and made our Happy Hour experience that much more fun. 9. It’s a Good Excuse to Travel! If you’re reading this article, you have an appreciation for travel. Work, family, expenses, and even maternity-leave-guilt can all be reasons not to take off. But, life moves pretty fast, and if you don’t take a second to hop on a plane or take a drive, you might miss the opportunity! Sometimes getting things on the calendar is the hardest part. So, why not let your Babymoon be your motivation to go somewhere you have never been and start your new adventure with a new adventure? 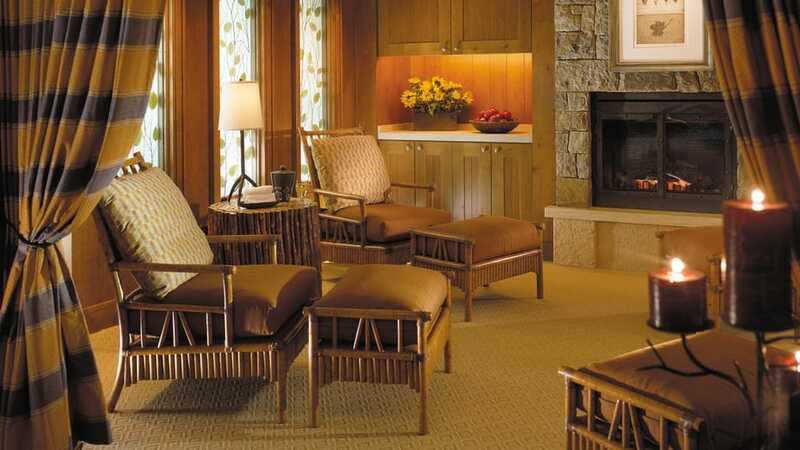 We stayed at the Four Season Jackson Hole and enjoyed time at the onsite spa. You can find out more here. 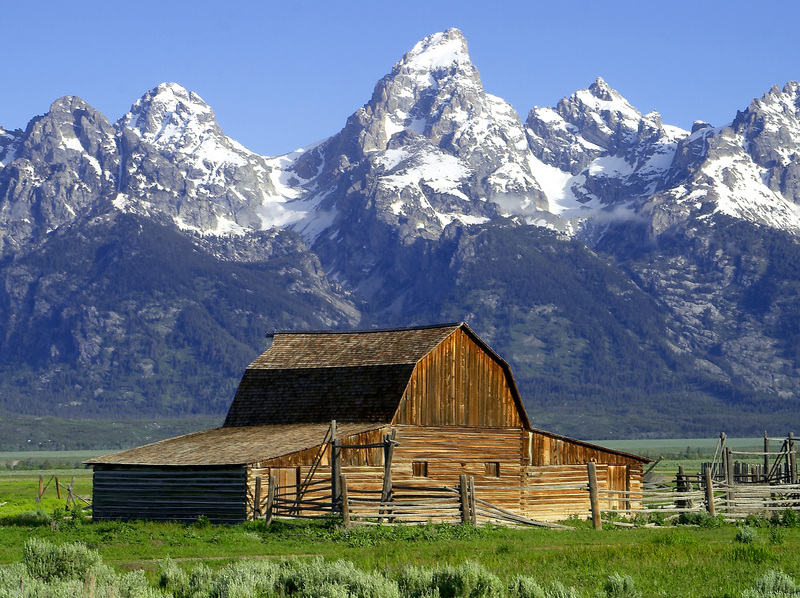 You'll find the craggy, mountain town of Jackson Hole hidden in the shadow of the Tetons and adjacent to Grand Teton National Park and Yellowstone National Park. Find details on how to get there and what to do here.